Eclipse Safety — Rainbow Symphony, Inc.
Eclipse Shades® Safe Solar Eclipse Glasses, Viewers & Solar Filters are absolutely safe for direct solar viewing of solar eclipses, Sun spots and other solar phenomenon. Protect Your Eyes From Harmful Solar Radiation Whenever Any Part of the Sun is Visible!! 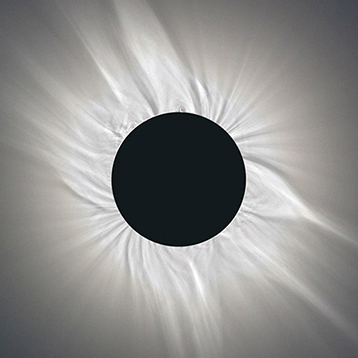 When you take your first glimpse at a solar eclipse the sight can be so awe-inspiring, you may be tempted to remove your glasses for a better view. Rainbow Symphony is here to tell you that you shouldn’t take your solar eclipse safety glasses off at any time during a partial eclipse. Read on for more important information about solar eclipse safety! For the utmost in solar eclipse safety, Rainbow Symphony is the best solution. All of our Eclipse Shades®, Safe Solar Eclipse Glasses, and Solar Viewers are CE Certified & ISO Compliant, making them completely safe for direct solar viewing. Our lenses are made from an exclusive, scratch resistant polymer material with an optical density of five. These lenses filter out 100% of ultraviolet rays and infrared rays, as well as 99.999% of all intense visible light. Our solar eclipse safety glasses offer you a sharp orange colored image of the sun, giving you a natural glimpse at an amazing phenomenon. Besides being CE certified, our safety glasses also meet all other transmission requirements of scale 12-16 of EN 169/1992 and the 2012 Transmission Requirements of EN 1836:2005 & AS/NZS 1338.1:1992 for Eclipse filters. (Queensland Directive) & Meets the Standard for ISO 12312-2:2015. 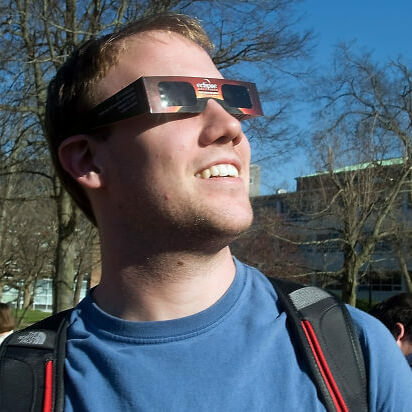 Wear our glasses for partial eclipses, annular eclipses, or any time the sun is exposed. While you should use our solar eclipse safety glasses to view the partial phases of total eclipses, you can view the sun safely without any eye protection only during the total phase of an eclipse. Once the sun is completely obscured by the moon, you can view it with the naked eye to explore the corona, chromosphere, and prominences. Once the totality ends, you must put your glasses back on! Totality length of time will vary, depending on your location. Please do not use our glasses with other optical technology such as cameras, binoculars, finder scopes, or telescopes. Young children should be under adult supervision at all times while using this product. Oh, this is so wrong!!! The correct way to safely observe the sun!! Make sure the solar eclipse safety glasses you are using have all the current certifications for safety. Here is a series of videos that although not specifically for TSE2017, all have valuable information pertaining to eclipse safety. Worth the watch.